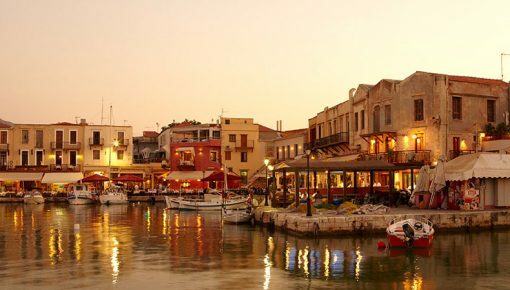 Sfakaki village in Rethymnon, Crete is located 10 km east of the city of Rethymnon, along one of the most beautiful sandy beaches of the island. Sfakaki has become a very popular residential area as it combines all the features that make it an ideal place for holidays or permanent residence. 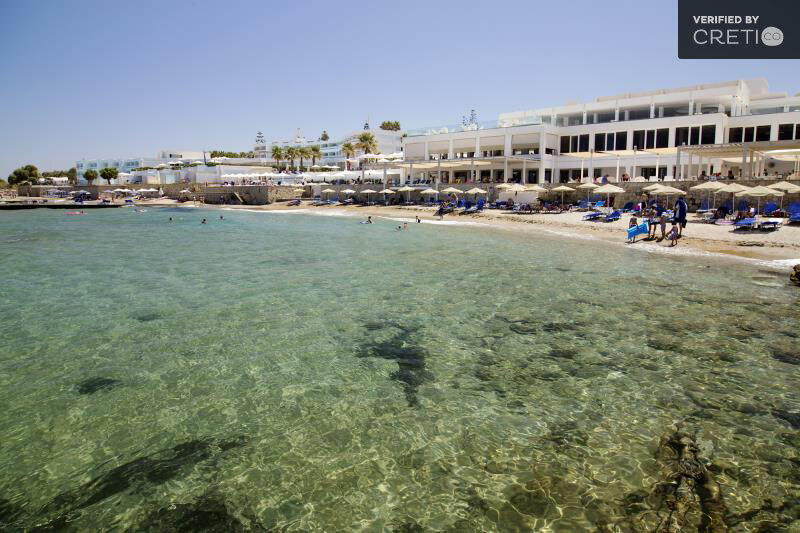 It is just 10 minutes’ drive from the city of Rethymnon and 45 minutes from the International Airport of Heraklion. Sfakaki is unique mainly because of the beach and the beautiful sea, but also for another important reason: the proximity to the highway, making it easy to travel almost anywhere in Crete. 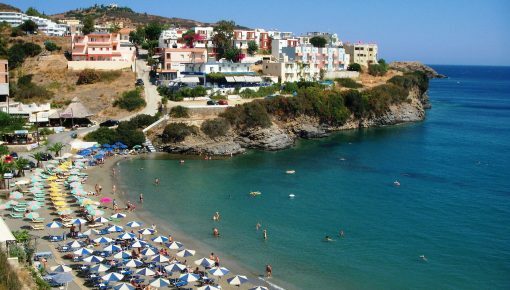 Sfakaki beach apart from its beauty, it is also famous for the fact that the endangered sea turtles Caretta Caretta choose it for their reproduction. The beach is ideal for sunbathing, swimming and summer sports. 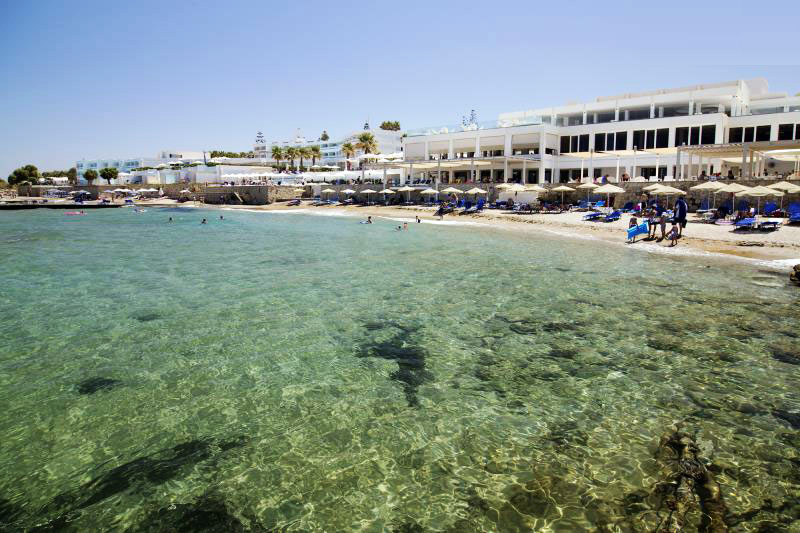 During the day you can enjoy your coffee, your juice or your beer at the beach bars located along the beach or you can enjoy a tasteful traditional Cretan meal at a tavern along the beach or visit one of the several picturesque villages around for a more traditional atmosphere. Sfakaki is located in the heart of the Municipality of Arkadi. If you choose to stay in Sfakaki for your holidays, or if you just visit it for a while, turn right on the road to Pagalochori. On the left of the road it is worth to visit the church which is dedicated to Virgin Mary. Then continue south and uphill and you will be charmed by the combination of wild herbs, oregano, oleanders and hollies with eucalyptus trees which create intoxicating atmosphere full of scents. Continuing, on the left, you will find the Monastery Arsaniou. If you continue south, you will realize that you are in the largest olive grove of Eastern Europe. As you ascend, the imaginary landscape offers panoramic views of the White Mountains of Chania until Psiloritis sierra. On the left, on the opposite hill, you will notice the beautifully renovated Venetian houses of the small village Hamalevri. 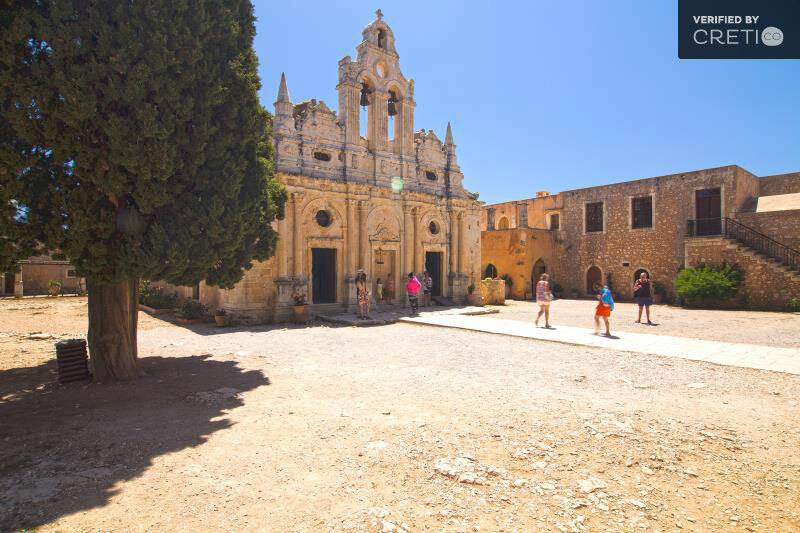 If you choose to spend your holidays in Sfakaki or in one of the villages around, then it is worth to visit the Monastery of Arkadi. It is dedicated to the Transfiguration of the Saviour and the Saints Constantine and Helen. It is of great importance as one of the most striking examples of the Cretan Renaissance, but also due to its intense role in the liberation struggles of the Cretans. The Monastery was firstly built by the Venetians and it is dated back to the 16th century. 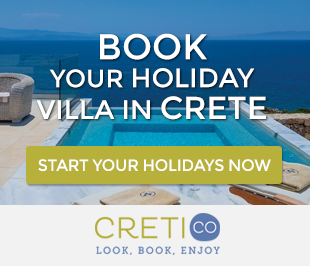 Many holiday villa rentals in Sfakaki, are able to offer to its visitors a luxurious stay combined with traditional architecture and the sense of the Cretan nature. So if you choose a holiday villa with private swimming pool in Sfakaki, it is sure that you will return in your place full of imaginary sea and mountain views. Posted on 05 Dec 2014 in Rethymno and tagged Arkadi, Beaches In Crete, Beaches In Rethymno, Monastery Of Arkadi, Traditional Crete Villages.